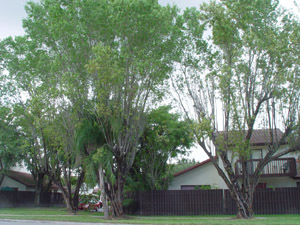 General Landscape Uses: An accent or specimen tree in residential and commercial landscapes along the coast. 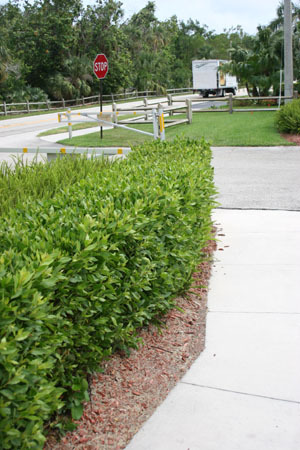 Trimmed or informal hedge. Also good in buffer plantings along the coast. 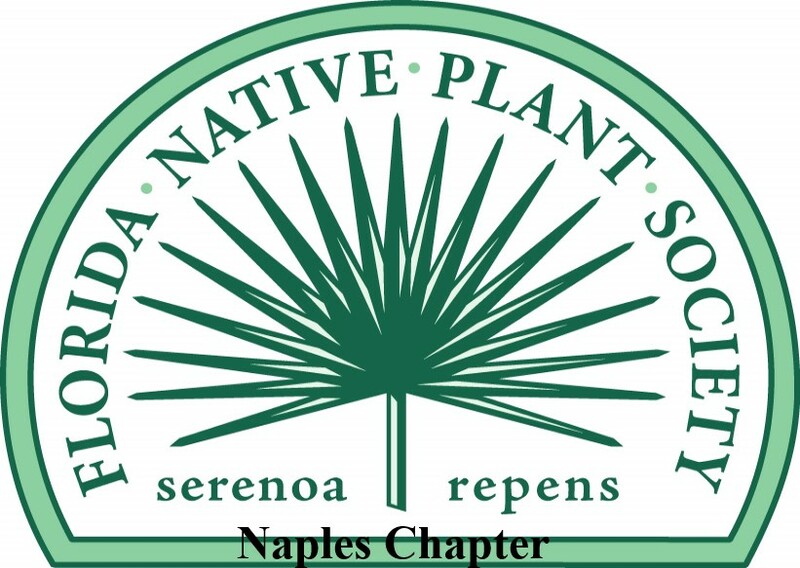 Ecological Restoration Notes: A key element of coastal forests along the upland margin of mangrove swamps. Description: Medium tree or large shrub with an open crown. Branches mostly erect or ascending. 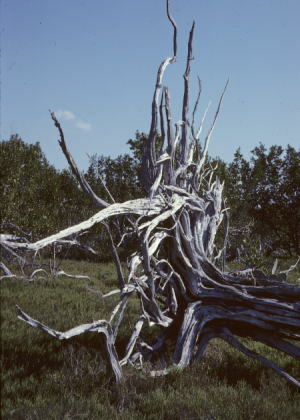 Trunks leaning, 6-18 inches or more in diameter, often branching near the ground. 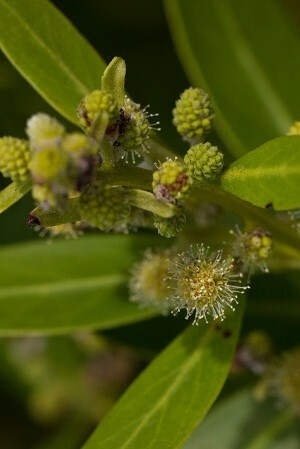 Leaves 2-4 inches long, leathery, green or covered with silvery hairs. 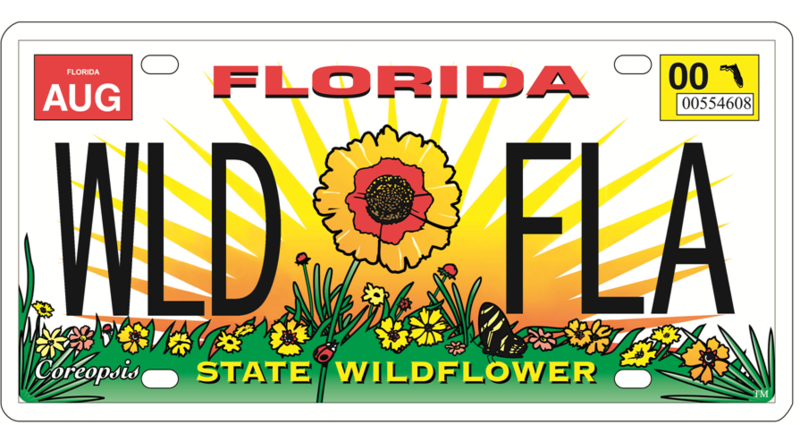 Dimensions: Typically 20-40 feet in height; to 51 feet in South Florida. The silver form is often smaller. Can be as broad as tall or broader. Range: Monroe County Keys north mostly along the coast to Brevard and Levy counties; Bermuda, West Indies, Mexico, Central America, South America, Galapagos and western Africa. For a digitized image of Elbert Little's Florida range map, visit the Exploring Florida website. Habitats: Coastal hammocks and margins of mangrove swamps; understory shrub in pine rocklands on Long Pine Key in Everglades National Park. Soils: Periodically inundated to moist, well-drained to moderately well-drained freshwater or brackish soils, with or without humusy top layer. Flower Characteristics: Inconspicuous. 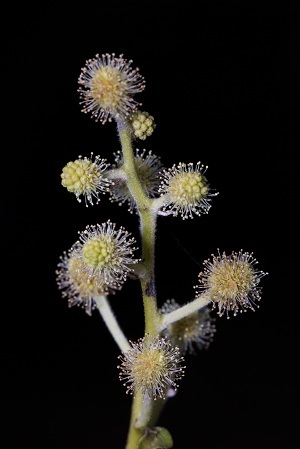 Essentially dioecious, with male and female flowers on separate plants; some male flowers contain a single ovule. 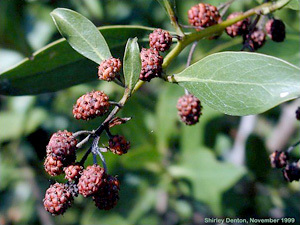 Fruit: Scaly cone-like heads turning purple-brown, shattering when ripe. Wildlife and Ecology: This is one of the most important host trees for epiphytes in South Florida. Provides significant food and cover for wildlife. Occasional larval host plant for martial hairstreak (Strymon martialis) butterflies and tantalus sphinx (Aellopus tantalus) moths. Nectar plant for amethyst hairstreak (Chlorostrymon maesites) and other butterflies. The seeds are dispersed by water. Horticultural Notes: Can be grown from seed and cuttings. The silver form is not true to seed. Comments: A form with silver leaves (silver buttonwood) is often referred to as var. sericea, but it is not a true taxonomic variety. 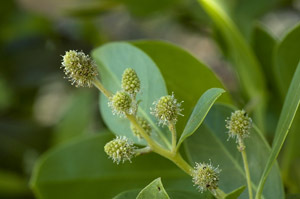 Silver buttonwood is found in hypersaline situations in the Florida Keys and occasionally along the southwest Florida coast. 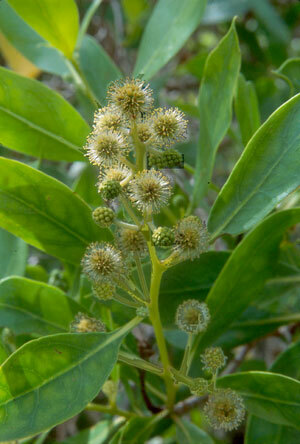 It is the most widely cultivated form of the species, but is not native to most areas where it is planted. The wood is used to make a high-grade charcoal.